Welcome to Taff & Frye — Taff & Frye Co. Inc.
At Taff & Frye, our company prides itself on efficiency, problem solving, familiarity with heavy machinery, teamwork, and reliability. President and Owner, John Taff, routinely visits job sites to check on the work status of each project and to confirm that the work we are producing is accurate and on schedule. Our company also prides itself on its ability to recycle majority of the material from sites that we work on. 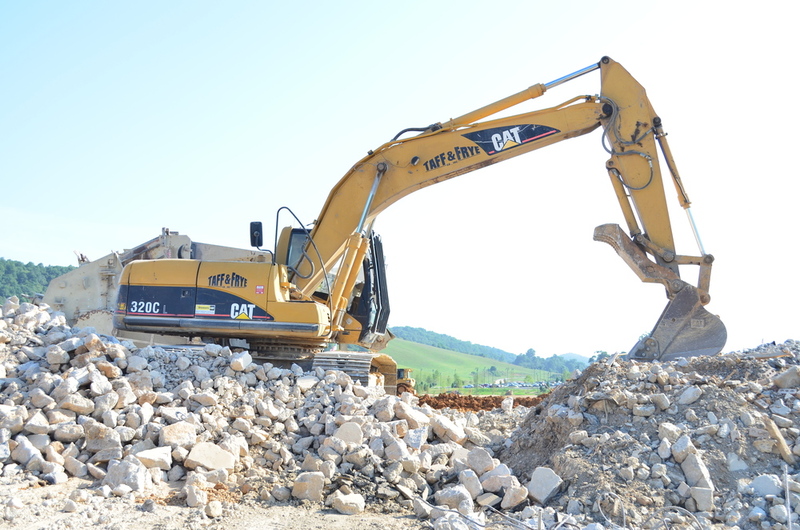 Many of the photos above are examples of work using one of our rock crushers.